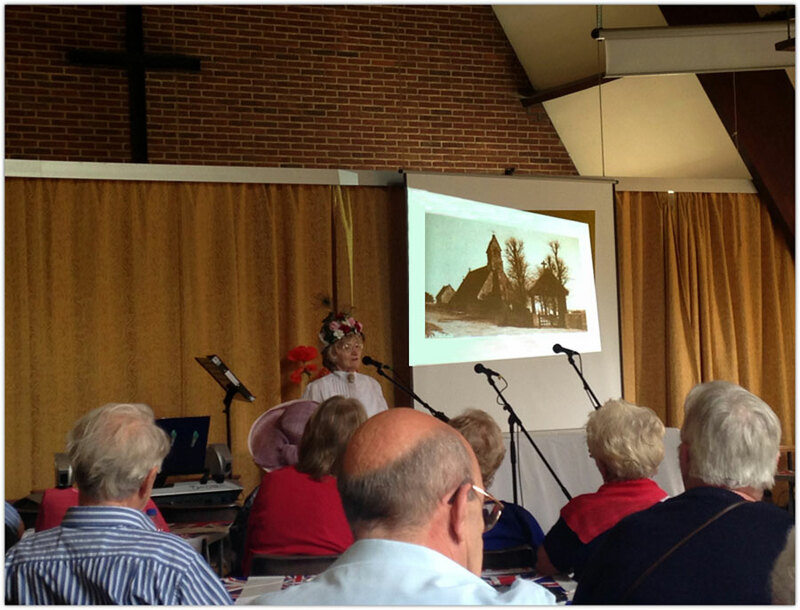 The first of our villages World War One Commemoration events took place on Saturday 14th June in Holy Trinity. It had been four months in the making, but well worth all the hard work and effort given by a wonderful group of people. Bunting lined the footpath to Holy Trinity (thanks John) and we were met with an unexploded bomb! (thanks Mike for your handiwork) The church hall is quite limited in space, which quickly filled up, ensuring that it was standing room only at the end…we ran out of chairs! 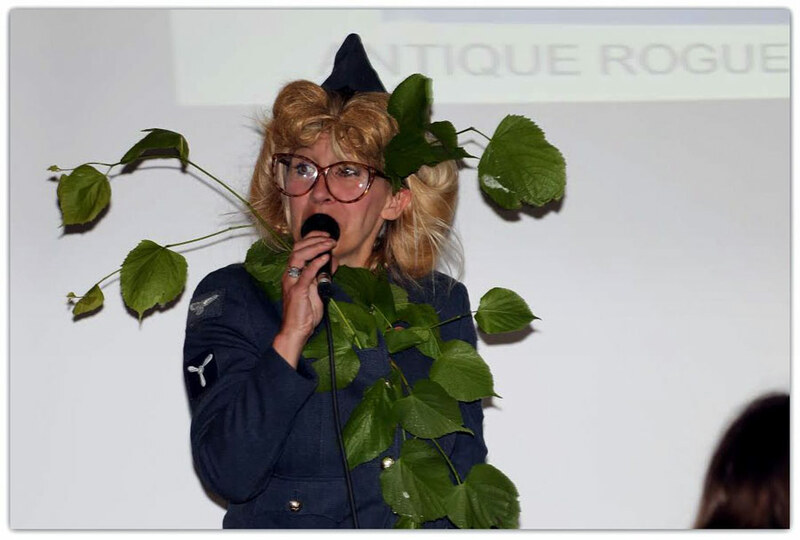 The programme was full, varied and most entertaining. Our MC, Mike, did a sterling job introducing all the acts and operating the power point visuals in between. 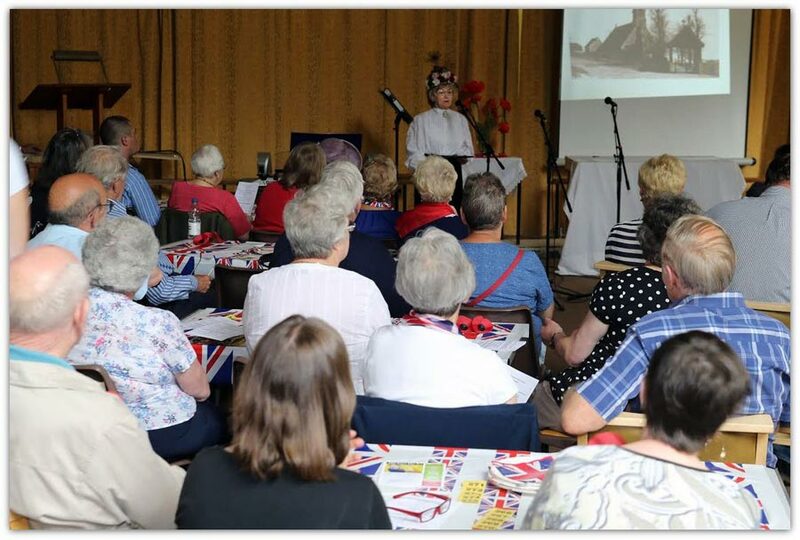 Mu opened the event with her talk ‘Mapperley and The First World War, Lest We Forget’ Mu described our village, as it was during 1914 -1918 and remembered the men who went to war: those that returned home and those that did not. This was followed by our choir for the day, The ‘Mapperley Minstrels’, a group of five ladies from Mapperley and West Hallam (Lesley, Dot, Stella, Glenis and Elizabeth). 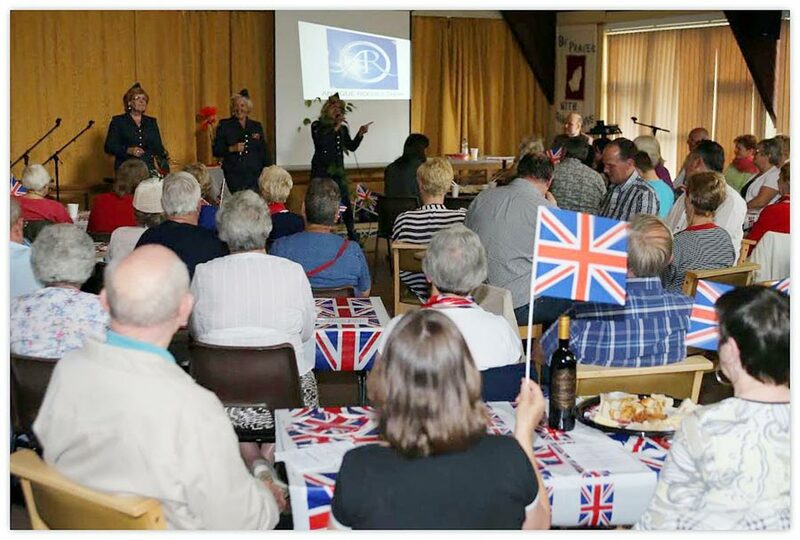 They performed several songs throughout the event with lots of audience participation and flag waving. Martin did a marvellous job organising the music. 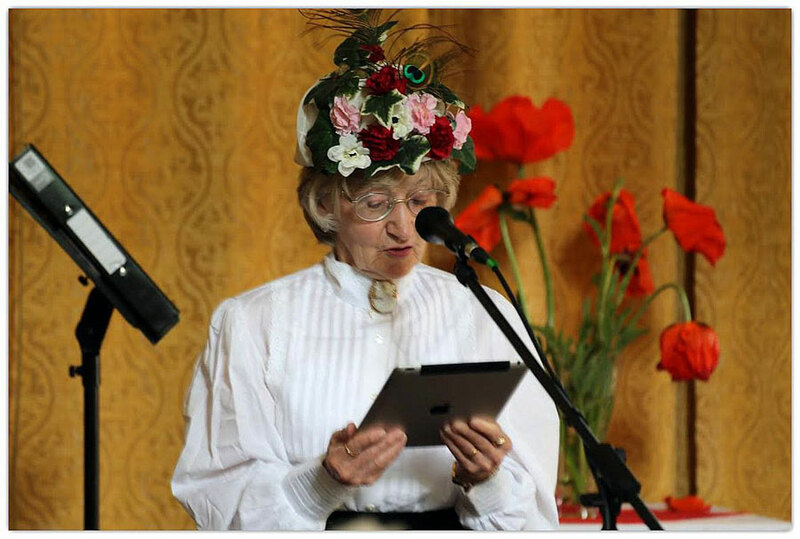 We had a Story Teller, Patrick Ashcroft; the musical duo ‘Warizit’ performing songs from the trenches; Glenis read the wonderful poem ‘To My Brother’ by Vera Brittain and some fantastic monologues by Sue, Helen and Terry. Our wonderful team of NAAFI ladies (Joan, Glenis, Jean, Brenda, Kath and Megan) prepared and served food and drink to everyone, bread and jam sandwiches, corned beef, dripping... a fantastic spread. During the interval a collection was made for The Royal British Legion with Cllr Alison Quinn shaking a bucket along with Rachel, who had welcomed everyone as they arrived. Goods were purchased from our British Legion stall manned by Lyn, raffle tickets bought from Elaine K assisted by Mollie and many viewed our WWI display. Many thanks to Elaine K for making the hats! Fantastic. The atmosphere was amazing, with everyone getting involved and having a great time. 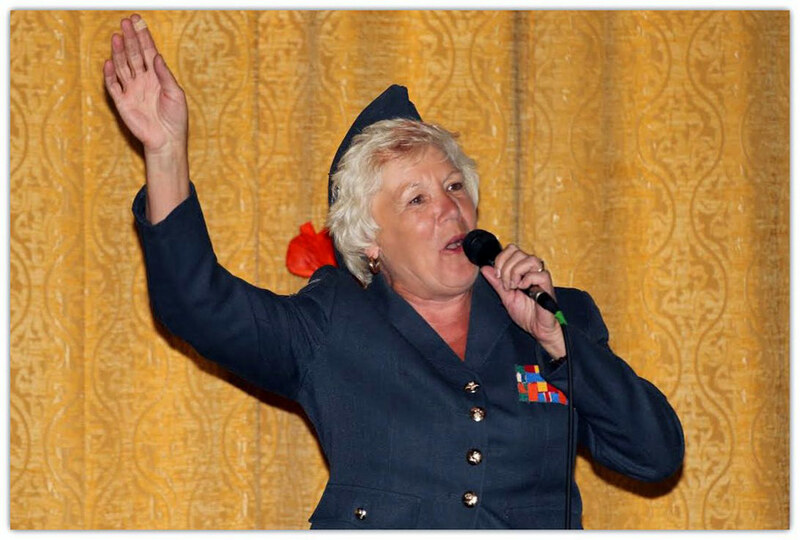 After the interval we had the fantastic trio ‘Antique Rogues’, three ladies who performed some wonderful old wartime songs dressed in RAF uniform and really getting the audience involved. Roger took lots of photographs; a selection can be seen on www.mapperleyhistory.com. All our team dressed for the occasion in period costume and looked amazing. The event ended with our choir leading everyone in ‘There’ll Always Be An England’ and ‘Land of Hope and Glory’. To see 100 people singing and waving Union Flags was a joy to behold. It is thanks to Mapperley Parish Council for their sponsorship that we were able to put this event together and for everyone giving their time for free. 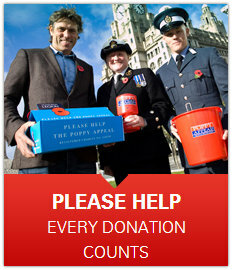 An amazing sum of £168 was raised for The Royal British Legion http://www.britishlegion.org.uk/. Every week they need £1.4 million to continue their work helping the Armed Forces family. I am very proud and sincerely grateful to everyone who gave their time and to everyone who came and supported us. 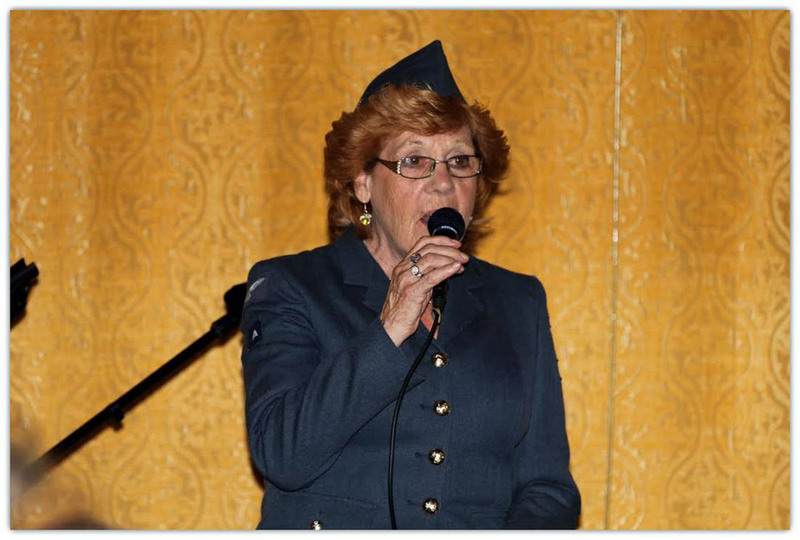 It made this event such a marvellous occasion in honour of those who served our country.